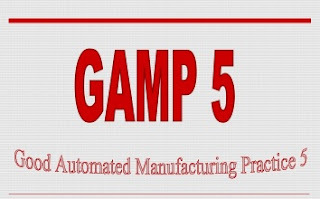 GAMP 5 should be implemented for the automated systems in pharmaceutical manufacturing and quality control to produce the high quality products. Good Automated Manufacturing Practice denoted as GAMP, are guidelines provided for both users of automated pharmaceutical products and manufacturers of these products. GAMP was founded in 1991 by pharmaceutical industry professions in the UK with the aim of addressing the needs of the industry and basically to improve the changing expectations of Europe regulatory agencies and it mainly wanted to provide understanding on how pharmaceutical companies should validate their computer systems. GAMP-5 or version 5 of GAMP is the latest standard of the guidelines and was released in February 2008 by the International Society for Pharmaceutical Engineering (ISPE) a GAMP partner company. This version is regarded as the most structured and project based approach and is more inclined in ensuring risk control and quality management of computerized systems in manufacturing and supply of pharmaceutical products. Pharmaceutical companies, if they correctly interpret and apply GAMP 5 guidelines can provide the required standards of products. Even though GAMP 5 are not regulations but guidelines made up of sets of principles and procedures that aim at ensuring that manufactured pharmaceuticals products meet the required standard of quality, most pharmaceutical companies that intend to achieve automated systems that are fit for intended use have adopted these standards. GAMP 5 practical guidance revolves around four tenets. First, this procedure facilitates users with the interpretation of regulatory requirement in the manufacturing of computerized pharmaceutical products. Secondly, it establishes a common language and terminologies that ensure a systematic and well-defined approach in the production of the pharmaceutical products while the third view is to ensure a system life cycle approach that covers all the aspects of production; from the inception of raw materials all the way to the finished product based on good practices. The final tenet looks at the roles and the responsibilities of each player along the production line all the way to the suppliers. As this guideline gives a framework for both users and suppliers, whereby it requires them to work in tandem with each other. For users, GAMP guideline gives the principles that assure that the automated system is appropriate for the intended use before the pharmaceutical products are produced while the suppliers are guided by GAMP to check and test any avoidable defects in the system hence ensuring the products supplied by the pharmaceutical industry meets high-quality standards. GAMP is risk based approach compliance. Although GAMP has more benefits than challenges the system still suffers some setbacks. The main challenges in implementing GAMP been establishing procedural control. GAMP provides the necessary guidelines that adhere to standards in the validation of automated systems but it does not provide a procedure to check the processes that are in place. Also, the handling of management and change control is another shortcoming, this is brought about due to new computer system development or modification that can short change the validation. Most companies may rely on the GAMP checklist to evaluate their systems even though the current business environment requires thorough validation process. GAMP – Good Automated Manufacturing Practice is not legally binding, but customers give significance during vendor audits. Now the 5 version is in place. Good Automated Manufacturing Practice (GAMP) is a recognised code of practice in pharmaceutical industry; however, it is not legally binding. Nevertheless, GAMP became a standard body of rules for validation of computer-supported systems in the pharmaceutical industry.